I didn’t used to spend very much time thinking about allergies. Safety routines had become habit, I read all the labels (and quite frankly made most of my own food anyway, mostly because it was cheaper.) I checked food at restaurants (although I’ll admit I was lax about assuming some items that never contain nuts were safe, and that bit me once or twice.) I carried my meds around by force of habit. Some of my old coworkers knew I had allergies, but not all of them. I knew about some of their medical conditions, but not all of them. Upon having kids and starting to feed them solids, allergies occupied my thoughts more often. Especially after their diagnoses, when I had new foods to watch out for. But it was relatively easy to add new foods to existing food-avoidance routines–definitely easier than starting from scratch. And since my kids were entirely dependent upon me and hubby for food through the toddler years (I was a SAHM), food allergies again moved to the back of my mind. When the boys started school, things began to change. I had to pay attention to the school’s allergen policies, get action plans filled out, provide safe, alternate snacks, and drill new safety routines into their little heads. All of this activity got me thinking more about allergies in general. I paid more attention to the online food allergy community and noticed the deficits in food allergy awareness. Last fall, Zax started kindergarten, and this awareness only grew. 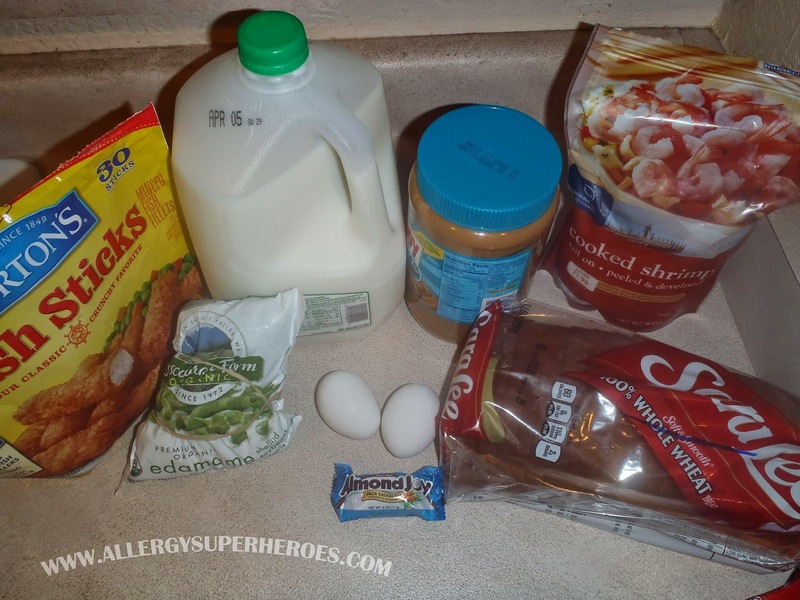 An effect of my (and hubby’s) heightened awareness of the larger food allergy world was our decision to start Allergy Superheroes. We saw the products that were already in the world, came up with some ideas, and decided to create our own. Since we began that venture, my head has almost constantly been in the food allergy community. If I’m not designing and developing our products, I’m on one social media site or another. I’m talking with people, staying up-to-date on news and scientific breakthroughs, giving advice and asking for advice in return. I’ve become hyper-aware anytime someone mentions allergies in the real world, and am quick to start up conversations about them. Just run-of-the-mill foods for most of the population. I was unprepared for this. I mean, I am accustomed to being “that person,” and am always willing to educate people if they have a question about allergies. I know that our allergens are harmless food to most other people. I still know that, so to “forget” that not everybody deals with this, even only in the emotional sense, is very strange. This one is launched though! Our Peanut Allergy Slap Bands are available now!! At the same time though, I hope I’m spreading more allergy awareness. Our products aren’t launched yet, but I’ve been sharing our business venture with just about everybody who asks me what I do, and by now the other parents who hang out on the playground are probably tired of me asking their opinions on our prototypes. Have you ever forgotten how the rest of the world works because you’re so focused on your own little world? ← Previous Previous post: Egg-free, Vegan Meringue!